Hyperbole aside, nothing beats having a delicious mango in the summer time. 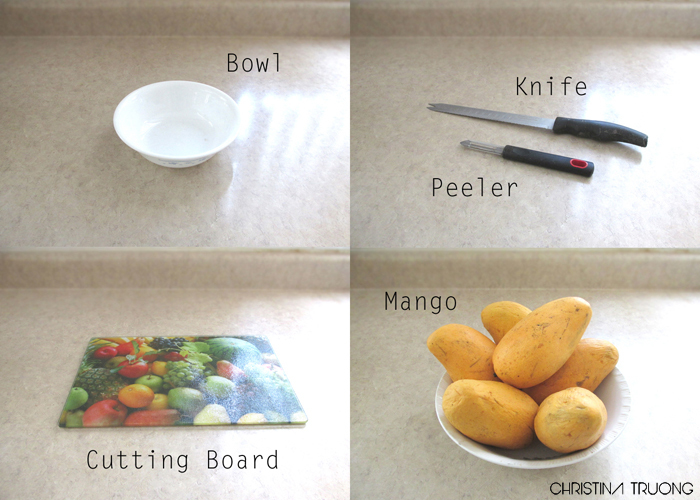 But getting to the fruit can be a challenge. There are countless ways to get there, however. One would be using a paring knife and another would be the "hedgehog" style. Unless you're like me, I have trouble using a paring knife and the "hedgehog" style can get messy. And I'm sure there are tons of other ways that can be found online. But the method I use since I was little is THE easiest (and possibly the only) way I know how that won't be troublesome. 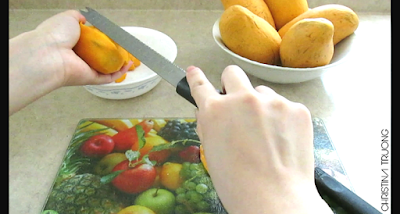 Here's the method to peeling the skin of a mango that I swear by. Follow along and let's get started! 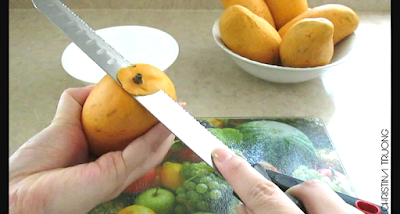 Take your knife and slice the stem. 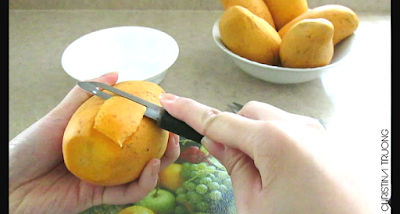 Using a peeler, start peeling off the skin of the mango. 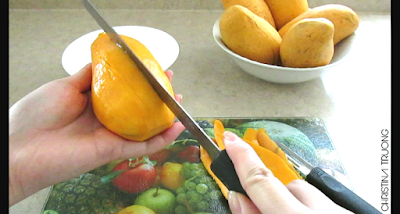 Repeat the process all around the mango. 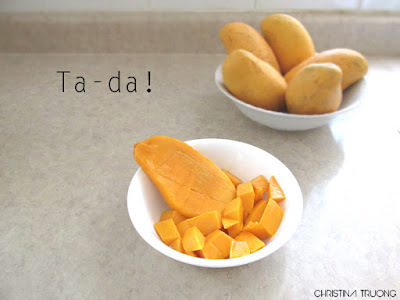 Place it into a bowl.